While other die shops focus on being efficient - the ability to execute tasks correctly and with minimum effort - we concentrate on being effective - doing the right thing in the first place to add maximum value. Our ability to keep our eyes on the big picture is another aspect of the DieTech difference. DieTech works hard to ensure that we maintain the highest levels of quality through meticulous documentation of projects and having our team embrace the system and its standards. This helps us ensure our customers are receiving products and services of the highest global quality. 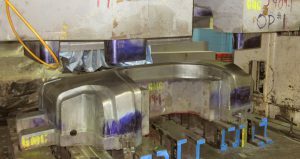 Prototype Tooling is the process of making low production tooling to prove out the stamping process prior to casting the hard die. 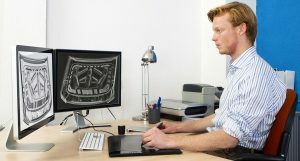 This process, when done correctly, can save both time in the long run of the project, and money due to the need to only perform tryout on one hand. Blank Die Construction starts with the flat material that has been cut to a specific shape that the first operation (Draw Die) utilizes. 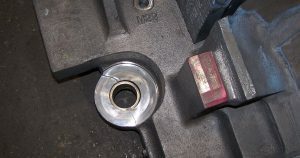 Once the press to be used is determined, the operations to be performed in a Blank Die begin. For over 20 years, Dietech has been a large Class “A” High Quality Die Supplier to the “Big 3”. Driven from the floor, our focus has been to build tools that are manufacturing friendly and production high availability. 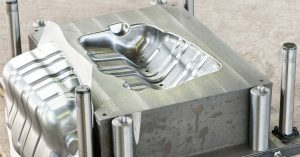 Starting with the finished product, from the parent company, DieTech North America, through the process of simulation, will address and develop the minimal amount of operations (dies) required to produce said product within tolerance, surface finish requirements, as demanded by today’s rigorist standards. At DieTech, we are known for our work with unusual and difficult stamping materials, including Aluminum, Experimental/Exotic Metals, Bi-Metal Composites & Various Forms of Steel. 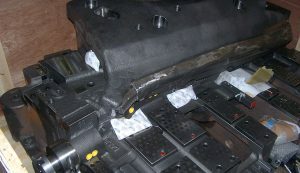 Sooner or later in a production facility, there is going to be an accident in production in which the tool will need to be repaired. 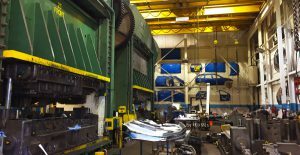 Due to DieTech’s expansive labor and machine resources, we are able to quickly respond to get the die operational and back to you as fast as possible. This is where text will need to be inserted as it relates to teh scanning and inspection tasks performed at DieTech North America. This will include those related to the image above, as well as the CMM. DieTech has over 13 N/C Machines to handle any Contract machining. Dietech is accustomed to Class “A” and therefore is used to the smaller stepovers and higher quality finishes required on show panels. 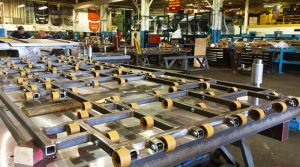 DieTech has the ability and man power on call to handle multiple lines of panels for metal finishing, our experience as always is based upon class “A” product panels which require the finest of handling and the most precise Audit process. DieTech North America has extended is reach and is now outsourcing our manpower to help our customers where they needs are the greatest at home line. Dietech has the personal to put in your plant to move your project forward!